PAPUA New Guinea Teachers Association is calling on the Government to pay the agreed 3 per cent pay rise to the 60,000 teachers employed by the Teaching Service Commission as soon possible. 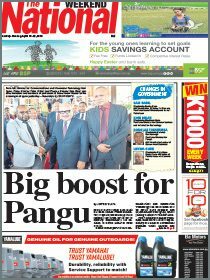 A memorandum of agreement was signed last Dec between the PNGTA, TSC and the Department of Personnel for a pay rise to become effective from Jan 1 this year to 2019. “Papua New Guinea Teachers’ Association today is calling on the Teaching Service Commission and the State to honour the 2017-19 Teaching Service Salary Fixation Agreement and then provide allowances for the agreement to be implemented immediately,” general secretary Ugwailubu Mowana said. “This agreement was signed last year. “The association realised that the agreement time, to be implemented has passed but we were on the understanding that the nation has gone through difficult times so we’ve allowed the eight months this year without the implementation of salary increases for teachers. “It is time now we believe that the teachers need to be paid under this agreement and therefore we demand that the Teaching Service Commission and the Government must pay our teachers according to the agreement. 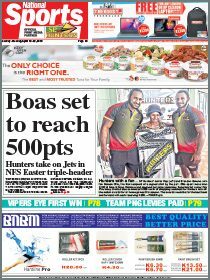 “The association believes that the salary increases are within the pay policy of the Government approved by the National Executive Council last year and, therefore, it is fitting for the State to honour the agreement immediately. “The association noted that in the national 2017 budget about K4 billion was for public service personal emoluments and of that amount K2.2 billion was earmarked and budgeted for teaching service personnel emoluments alone. “So the agreement is not out of budget. “The agreement is within the budget, the salary percentages agreed by the parties last year were within the affordability of the State and it came about through the pay policy approval of the NEC last year. “We urge the commission and other line agencies not to delay any further the payment of the salary increases for teachers for 2017. “The agreement was to be implemented on Jan 1 but it has come to August now. The State will have to back pay the teachers.